This post is sponsored by Bed Head Styling and Her Campus Media. All opinions are my own. Let's talk about my most frequently asked question. How do I curl my hair? The only time I'm 100% sure my hair will end up looking exactly how I expect it and holding the style for days, is when I make my lose waves using a 3/4 curling iron. 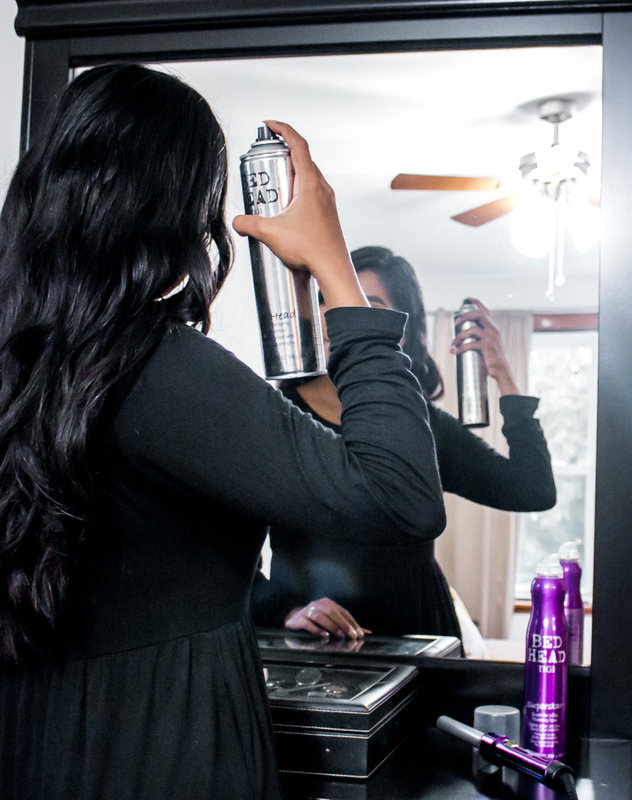 Today I'm teaming up with Bed Head by Tigi to share with you my infalible "technique" using the Curlipops ¾” Styling Iron. As a bonus you'll also find at the end of this post two mini hair tutorials with easy half-updos that you can make in 5 minutes or less. Perfect for back to school! 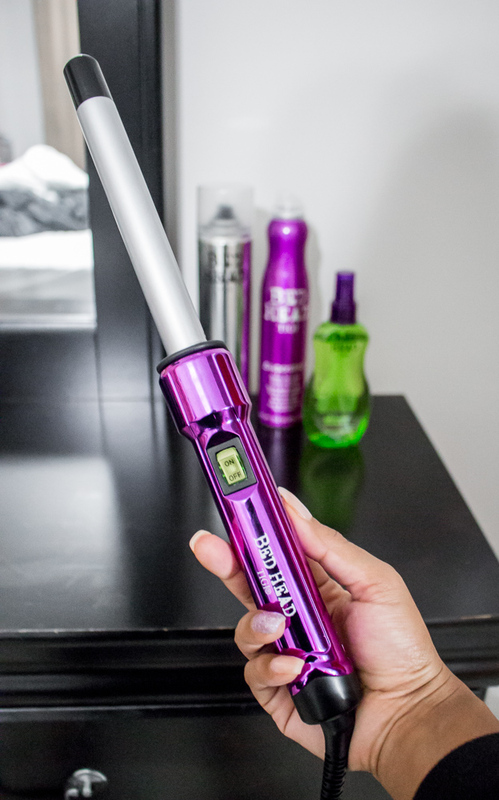 The Bed Head Curlipops™ ¾” Wand is one of the newest additions to the Bed Head by Tigi Family, Technically barrels smaller than 1in are meant to create natural-looking curls on short hair or bouncy curls in general. However one of the tricks I learned from the stylists at the Bed Head Hotel is that these smaller barrels are also really helpful to make waves and curls that last for longer when you have long abundant and heavy hair ... like me! 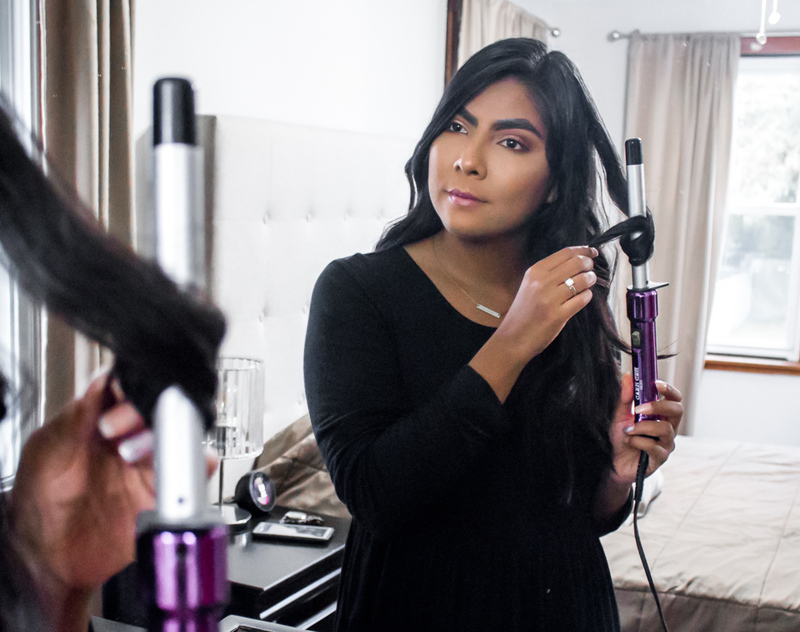 To create my lose waves I curl random sections of hair with the Curlipops™ ¾” Wand. If you have lots of hair like me, It's super important to do it sparsely, and NOT TO curl your entire head. Otherwise you'll end with A LOT of volume. Once the hair cools down, I run my fingers through my hair to make the tiny curls loser. 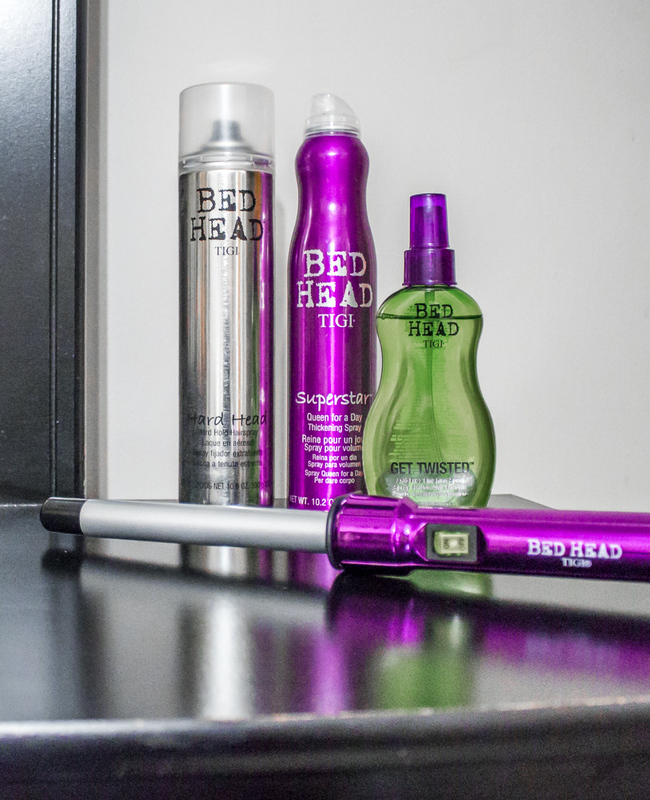 Then I spray Bed Head by Tigi Hard Head to set everything in place. I tipically do this when I know I'll have a busy week and no time to retouch my hair every morning. I wish I knew this trick when I was in college, this would have save me tons of time! Talking about hair hacks. I want to show you two of my favorite half-updos perfect for those days when you need to put your hair up (AKA you haven't wash your hair for 4 days) but don't feel like throwing your hair in bun . These hairstyles look much more elaborated than they are and look super cute too. 1. 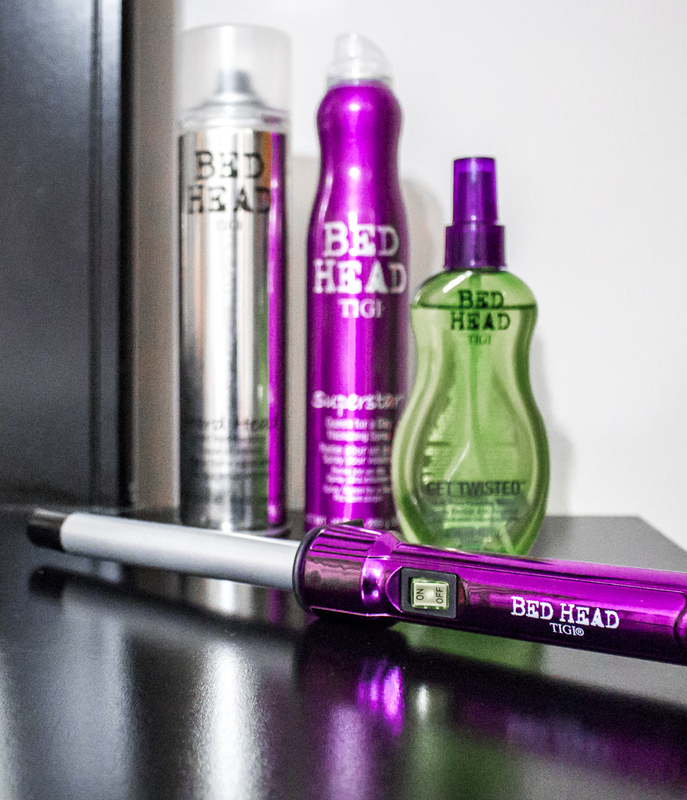 Start by texurizing your roots with Bed Head by Tigi Superstar Queen for a day to add some volume at the top. 3. Repeat this step on a lower section of hair! 2. 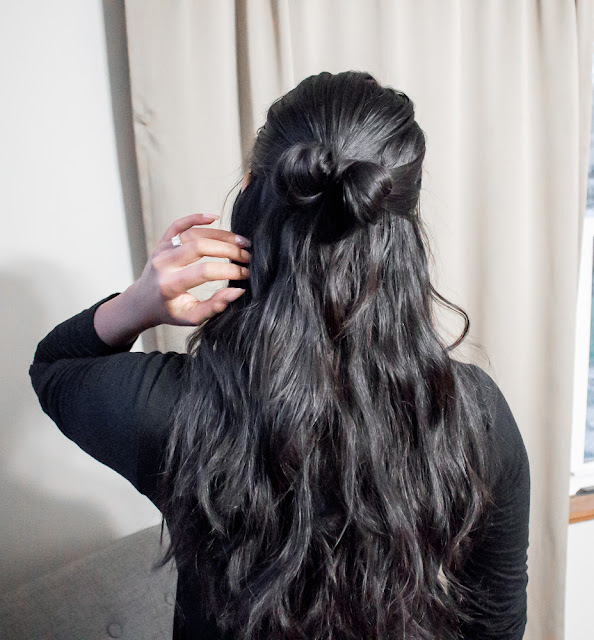 Take sections of hair from each side and make a mini bun. Make sure to leave small section of hair out. You'll use it later. 3. Divide the mini bun in two sections, and use the piece of hair that you left out to wrap over the middle of the bun you divided. Secure it with pins. 4. Spray Bed Head by Tigi get twisted to hold the hair bow for longer. What are your favorite back-to-school hairstyles ? Or your time-saving hair hacks for busy mornings?